November 2013 : Beachie’s dying ? 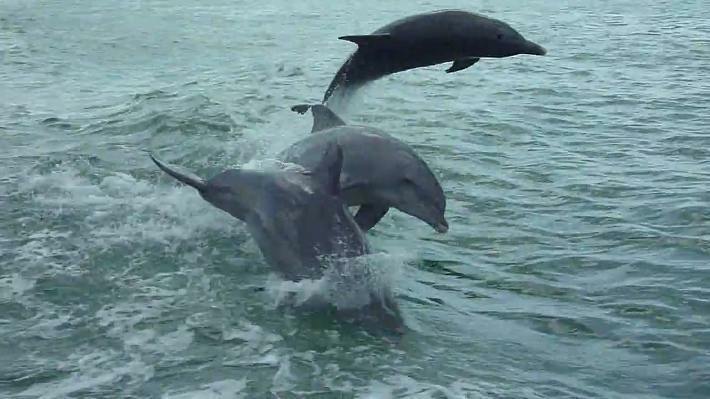 A pod of dolphins is having fun while racing with a boat in the Gulf of Florida. These dolphins are Tursiops truncatus with large fins, or Atlantic Bottlenose, perfectly adapted to coastal life, shallow waters and warm climate. And this is also the reason why our European dolphinaria likes them so much : they are incredibly resilient and able to survive in absurdly small pools disinfected with chlorine. Here, we see a Trio. An alliance at the first degree, a gang of 3 happy friends who are swimming kilometers and kilometers every day to seduce pretty females of the neighborood. They will stick together for a while, sometimes for their whole life.